Over the past few months, I made Cover Up (24 x 30), the newest piece in an evolving portrait series. I’m in the process of writing more posts about the making of Cover Up, which will be published soon, but, I wanted to send out a preview first. 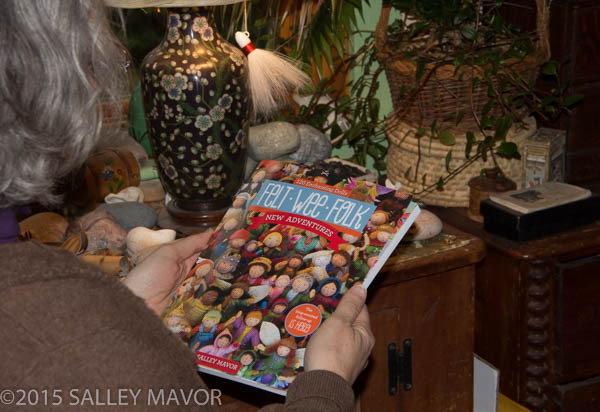 It was an engrossing project that kept me busy all through the cold snowy days of winter. Cover Up depicts women wearing cultural, national, and religious forms of head coverings and tribal markings. The portraits reflect notions of female modesty, fashion, status and conformity from different times and places. 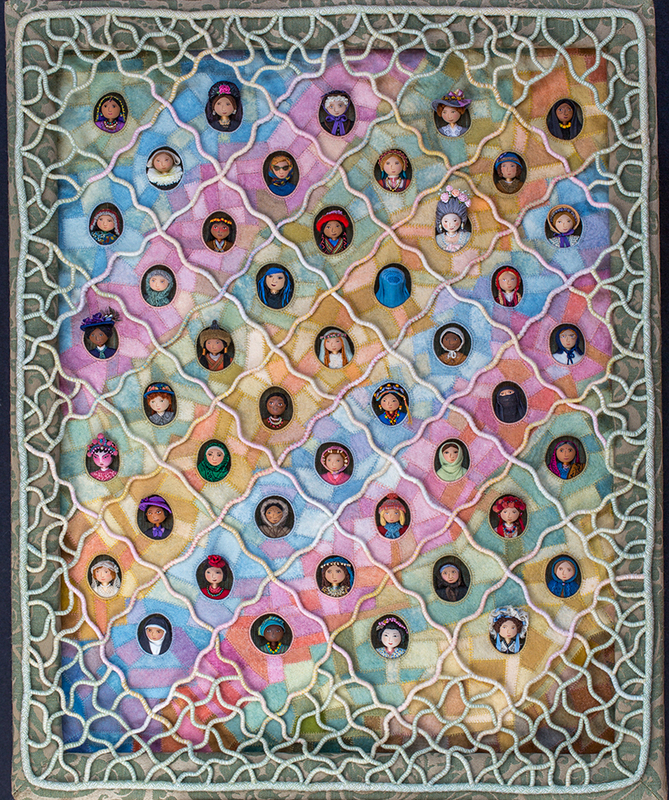 Because of the multitude of hard to see little portraits, I decided that the finished piece (shown above) wouldn’t translate well into a reduced sized poster format. 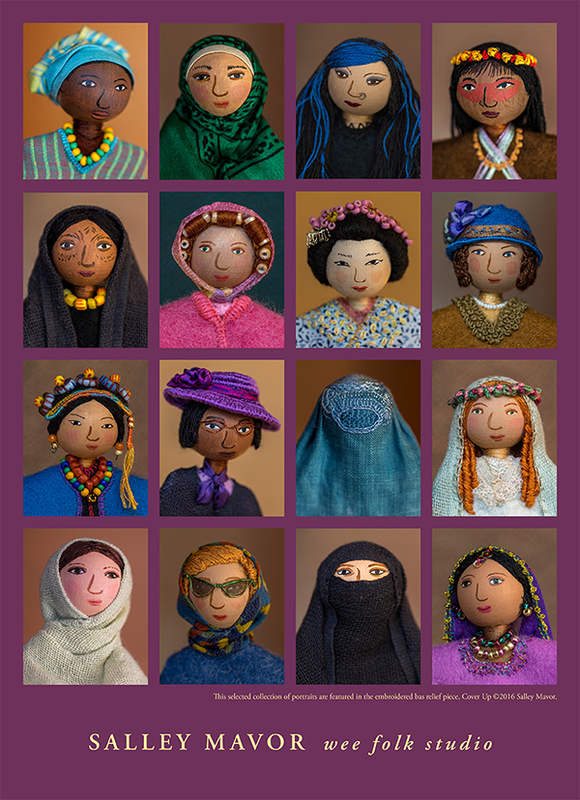 Instead, I chose to feature a selected group of women, with their photos juxtaposed in a grid. 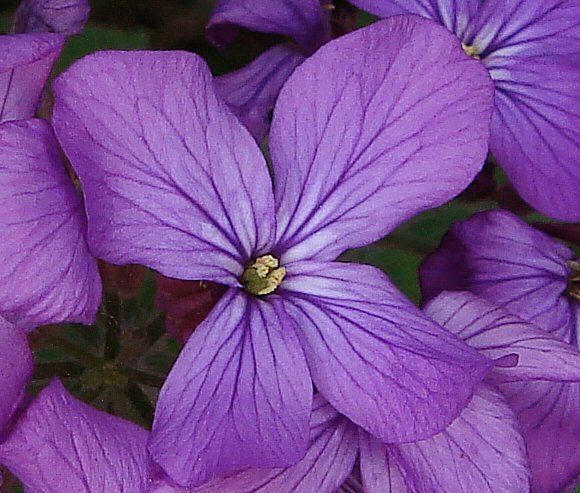 Each head is enlarged 200%, so that you can take in the details and essence of the person. The 12 x 17 poster (shown below) is available in my Etsy Shop here. In this series, which includes Face Time and Whiskers, I’ve focused on bringing to life different people from around the world, using themes of history, style and cultural identity. In each piece, head and shoulder busts peek out of “cameo” framed holes. 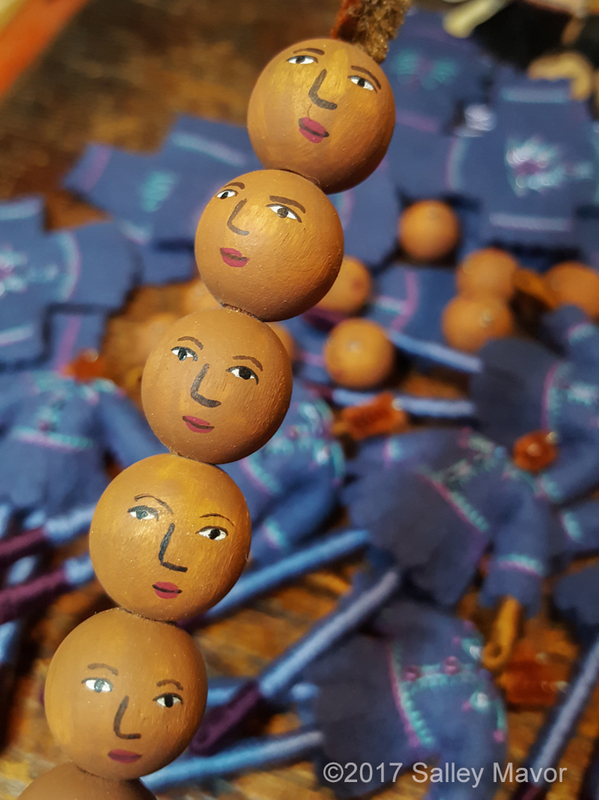 Their faces are painted 20mm wooden beads, with wigs and adornments, similar to the doll heads in my how-to book Felt Wee Folk – New Adventures. These 3 pieces will be included in my exhibit Intertwined – Needle Art of Salley Mavor at the Bristol Art Museum, Bristol, RI, Sept. 16 – Oct. 30, 2016. Polly is proud to show-off her new outfit, which she’ll be wearing during her next trip. She’s especially fond of her Glengarry bonnet! Polly will be visiting relatives in Scotland (my grandfather on the Mavor side was born in Glasgow) and hiking the Great Glen Way from Fort William to Inverness. She’s sure to bring back lots of pictures and stories of her adventures! My Etsy Shop is closed during our trip and will reopen June 16th. Blueberry and Lavender notecards reprint! I am happy to bring back two note cards that I first introduced 15 years ago. Please note that the watermark will not appear on the cards. 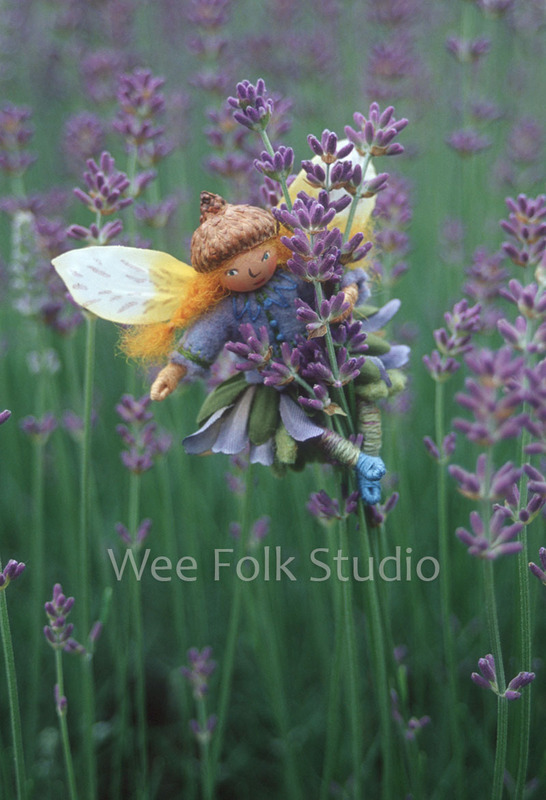 At one time, the Wee Folk Studio collection of Blossom Fairy cards included a couple dozen different depictions of fairies captured in all kinds of natural settings. While I don’t want to reprint them in that kind of scale, I thought I’d reprise two of the most popular cards, which feature blue fairies. The photos were taken as slides 15 years ago, back in the days of film cameras. 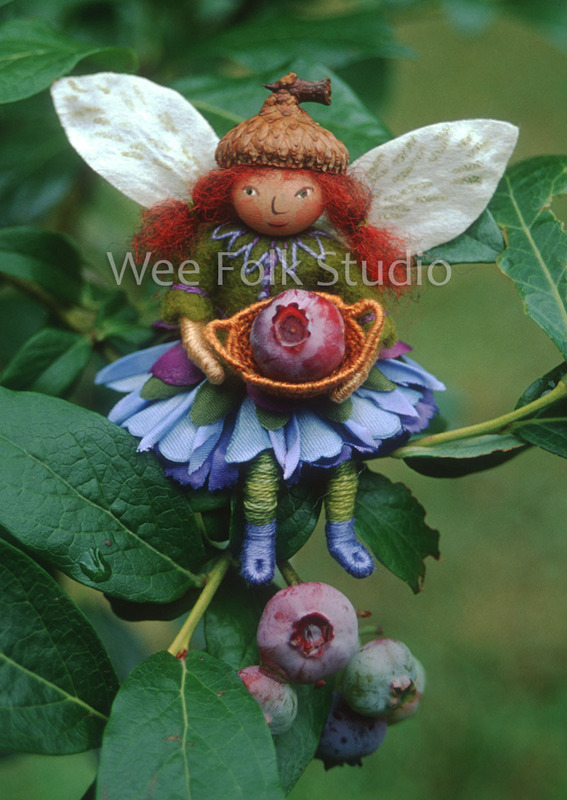 I remember making the little basket for the Blueberry Fairy and setting her up in one of our blueberry bushes in the garden. And I found the lovely patch of lavender at a farm less than a mile from my house. The Lavender Fairy had to be balanced on the stem just right, while I snapped the picture. 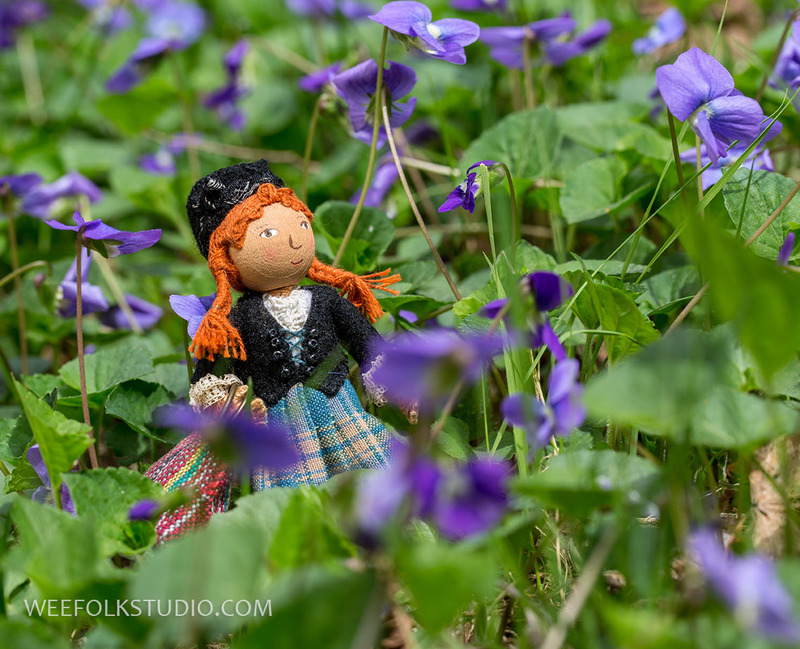 They were very good models who make a return appearance in my new book, Felt Wee Folk – New Adventures! Blueberry and Lavender note cards are available in packs of 4 and can be purchased from my Etsy Shop. Wholesale inquiries form stores are welcome. Felt Wee Folk arriving soon! 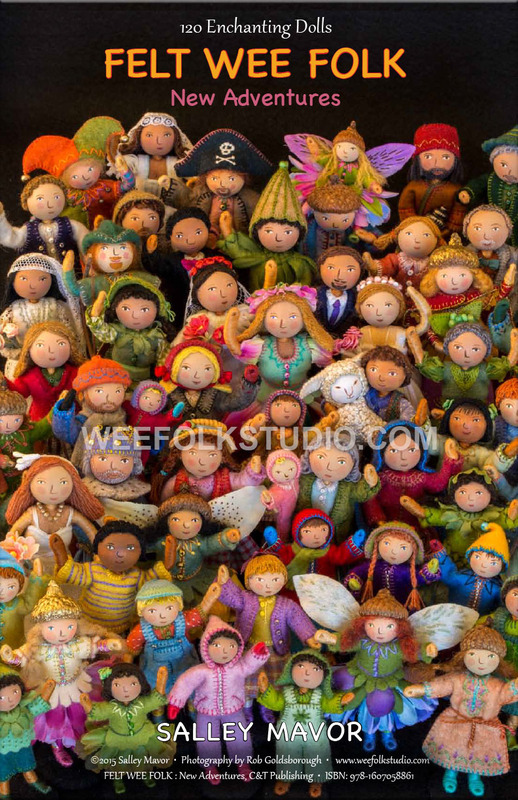 I’m excited the report that my order of Felt Wee Folk: New Adventures is being trucked across the country this week! The books were printed in China and transported by sea to a west coast port. After being delayed by the Longshore Union’s work slow-down, I am happy to say that the shipment was finally unloaded and delivered to C&T Publishing’s California warehouse. 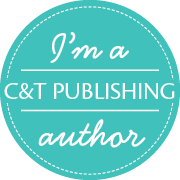 For a while, I wasn’t sure if we’d get the books in time for the series of book signings and talks I’m giving (see schedule at the end of this post), but it all worked out. It feels like I’ve been waiting forever for this book, so I’m relieved to know that my 15 cases will be here (hopefully) on Friday! 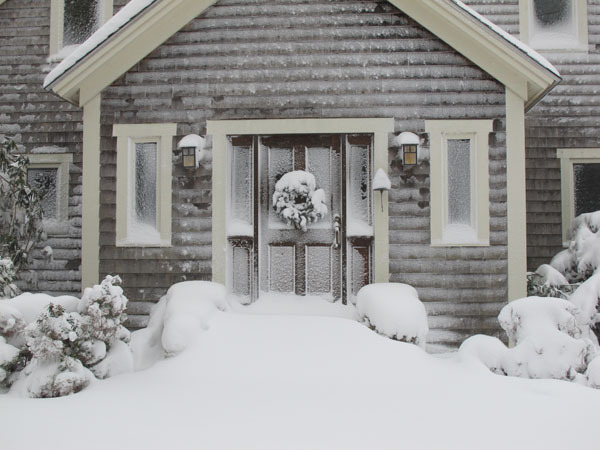 All of the snow we’ve been having has made it easier to stay inside and get ready. To those of you who’ve pre-ordered the book through my Etsy Shop, thank you for your patience. It won’t be long before your copy is sent off. I’ve been busy preparing for the book’s arrival like an expectant parent for a new baby. 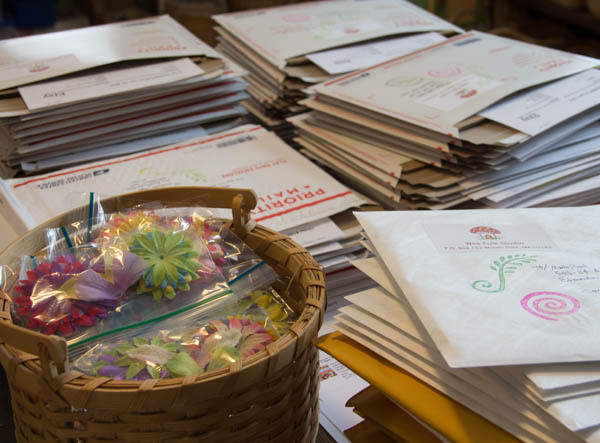 My studio is stacked with 100’s of addressed US Priority Mail envelopes filled with extra goodies for my Etsy customers. 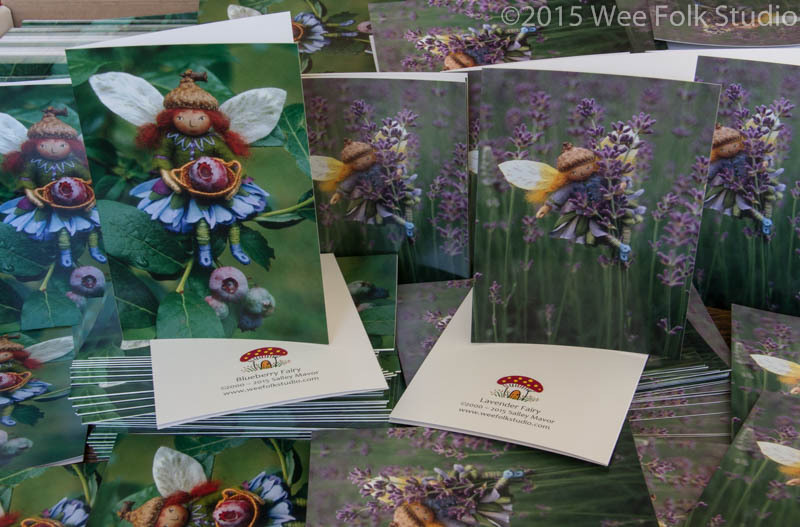 Each book comes with a poster (folded flat), a wee folk notecard, and faux flowers to make 2 fairies. These items will also be included with orders placed after the book is released. And, of course I’ll autograph each book! 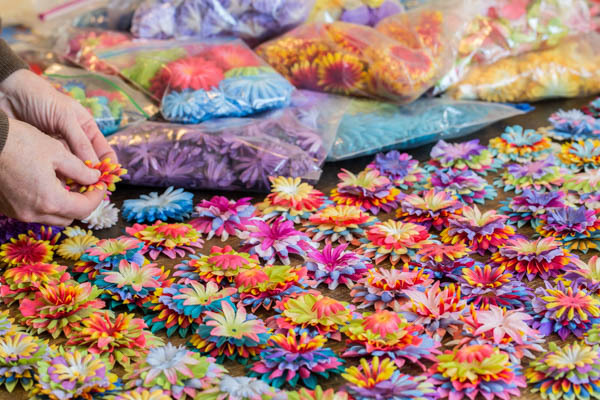 FYI, Etsy now accepts credit cards in addition to Paypal. The book is also available through booksellers, but it doesn’t come with these bonus items. 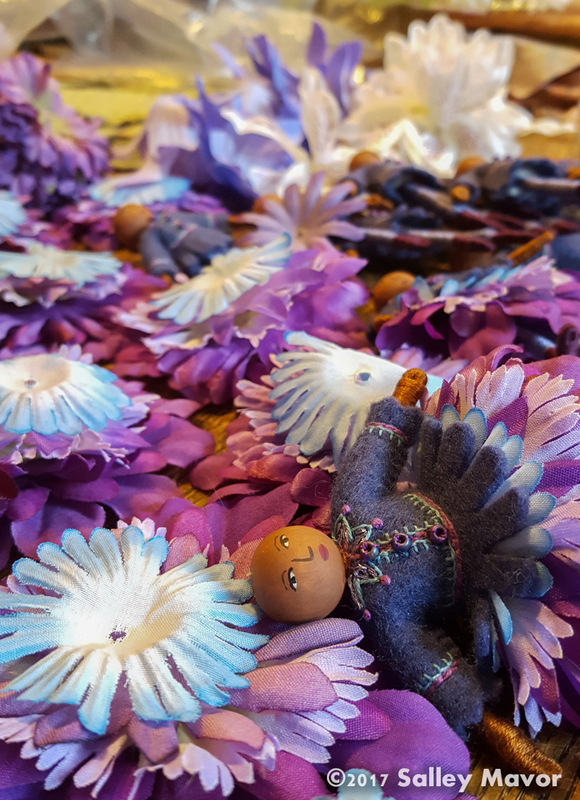 It was fun matching up color combinations of faux flowers for fairy petticoats. I got out my long-neglected collection of stamps and decorated mailing envelopes and thank you cards. 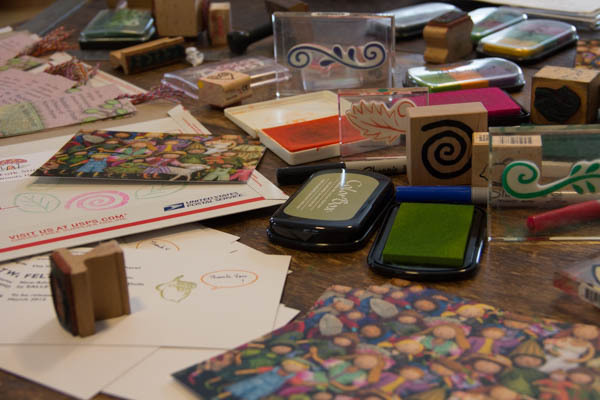 Selecting which stamps to use was like picking out clothes from your closet — there are many choices, but you always end up with a few favorite ones! The mailers are ready for my international customers, too. I’ve already filled out the customs forms, so that they can be mailed out right away. Hold tight, before you know it, you’ll have your own copy to pour over. 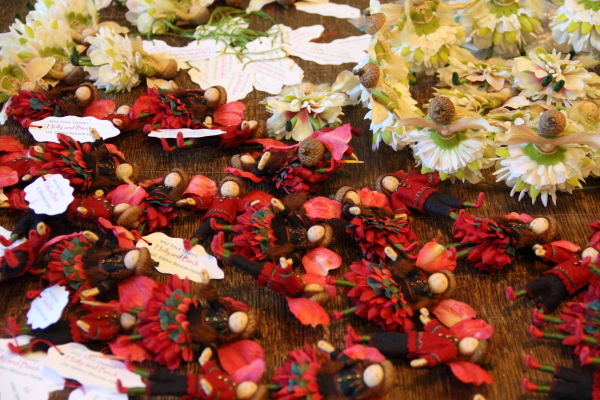 Then, you’ll run the risk of becoming hooked on making your own special wee folk dolls. 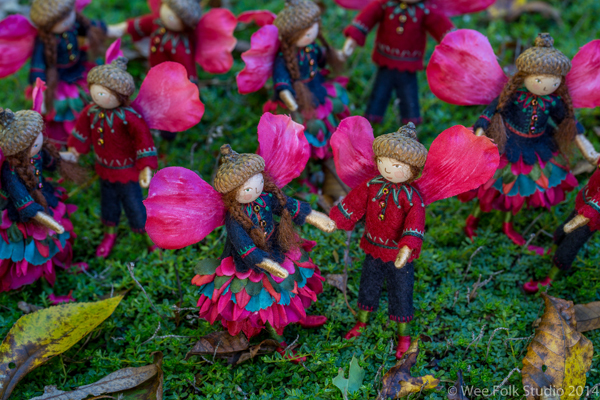 Those of you who’ve delved into the first Felt Wee Folk: Enchanted Projects know what I’m talking about! Sunday, March 8th at 3:00 pm ~ Book Release party at Eight Cousins Bookstore, Falmouth, Massachusetts. 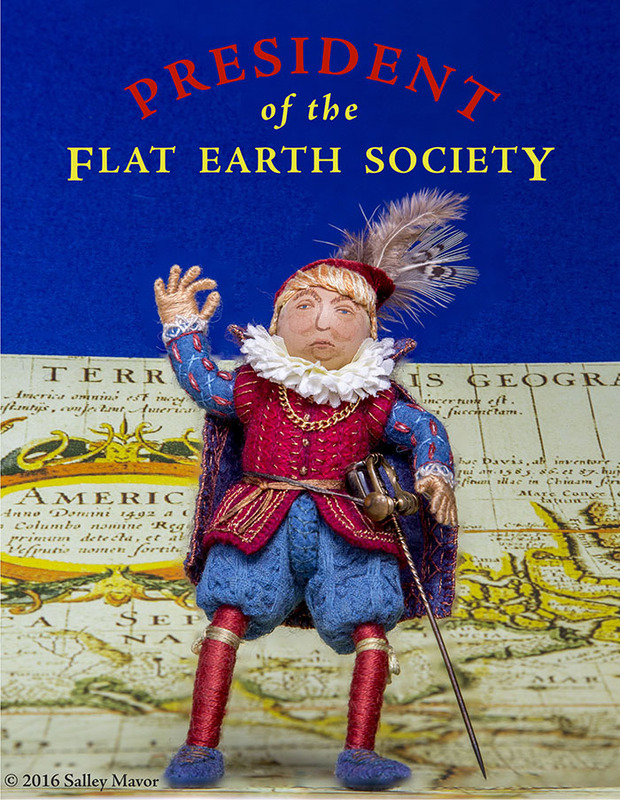 Thursday, March 12 from 6:00 pm to 8:00 pm ~ Book Signing at Gallery 65 on William, New Bedford, Massachusetts. 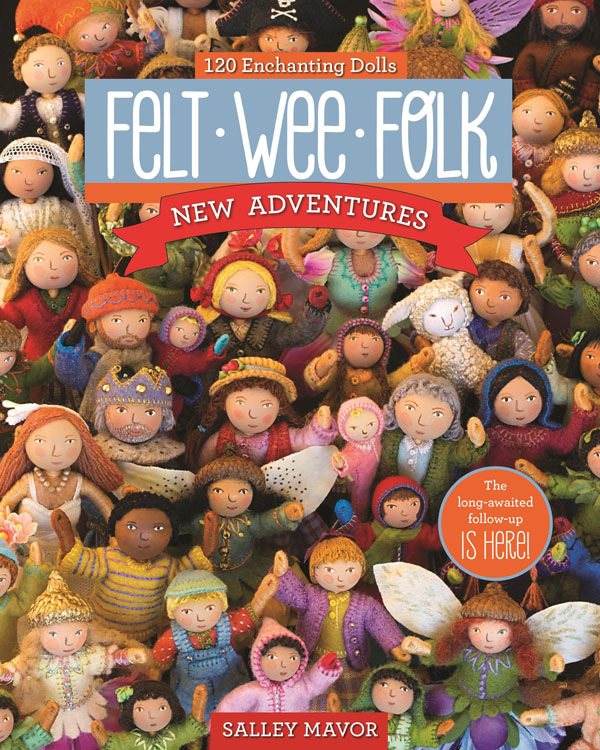 New Felt Wee Folk posters! 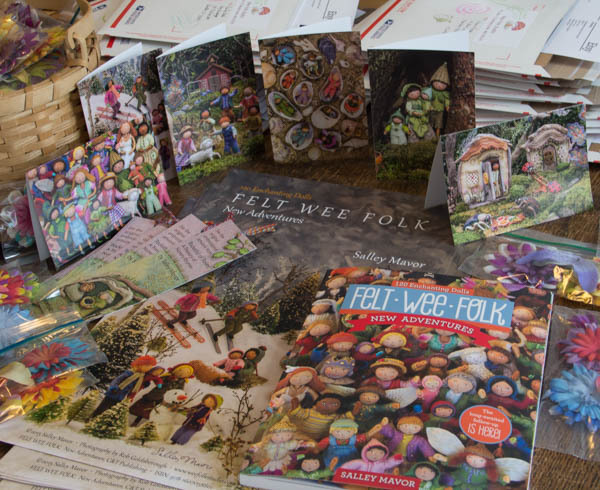 I’m excited to show you these two new 11″ x 17″ posters that I had printed in anticipation of the publication of my upcoming book, Felt Wee Folk – New Adventures: 120 Enchanting Projects. 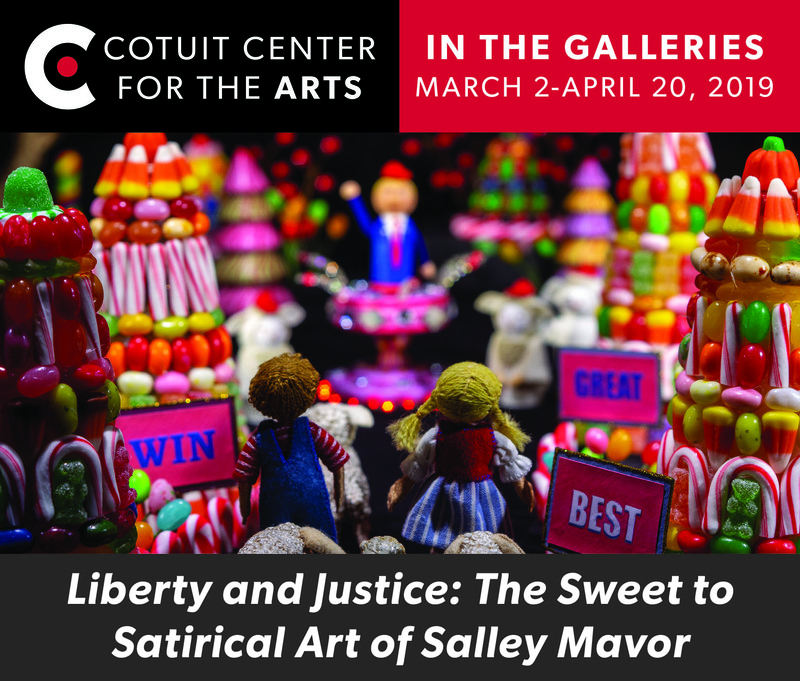 It was a family production; I constructed the scenes and made the dolls, my husband Rob Goldsborough took the photographs, and my sister Anne Mavor did the graphic design. All of these doll projects and more will be in the new book. Felt Wee Folk: New Adventures will be released in last part of February, 2015. You can pre-order copies from my Etsy Shop here. 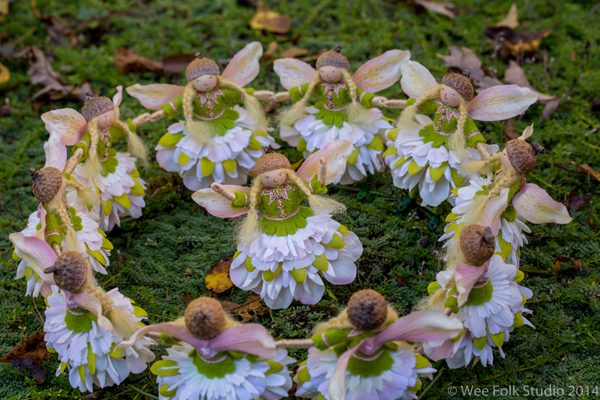 Each book will include an autograph, faux flowers to make 2 fairies and a Felt Wee Folk winter scene poster. OK, I’ve learned to never say never again! 3 years ago (in this post), I announced that Pansy would be my last Ltd. Edition Fairy. Looking back, I needed to close that chapter of my career, so that I could move forward and grow as an artist. 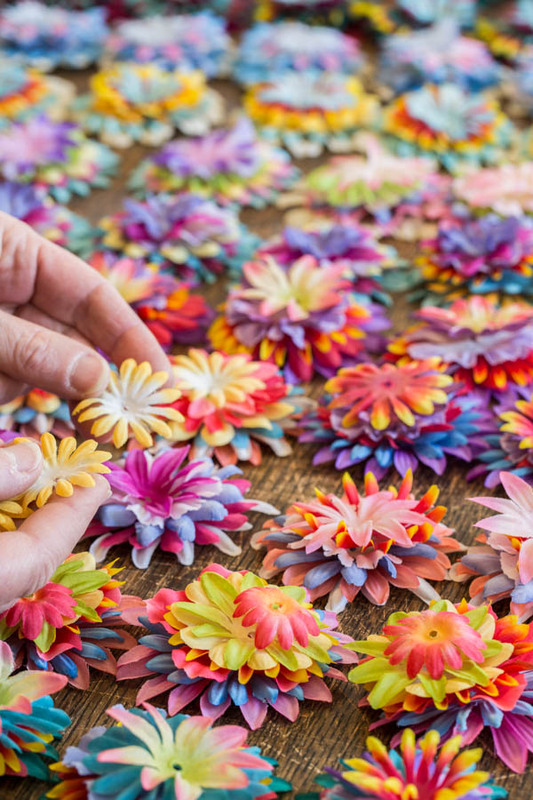 It was an important and necessary step to take, but I’ve found that the desire to keep my hands busy has won out, especially while away from home. 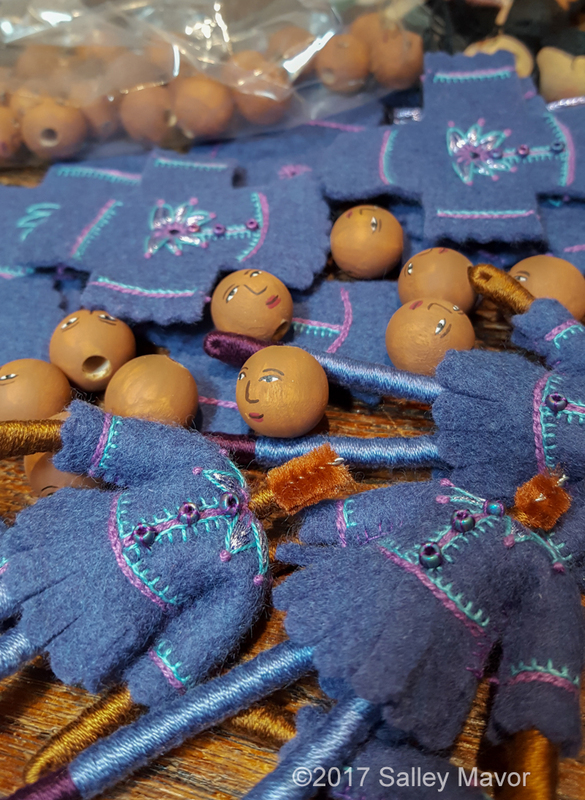 The portable nature of wrapping bodies and stitching felt clothing for these wee folk dolls is perfect for traveling. So, for 2 years I’ve been slowly working on a group of dolls, with the goal of eventually selling them in editions of 25. In keeping with my original intention of banning mass production work from my studio, I only worked on them when traveling, in airport waiting rooms, planes, boats, and trains. 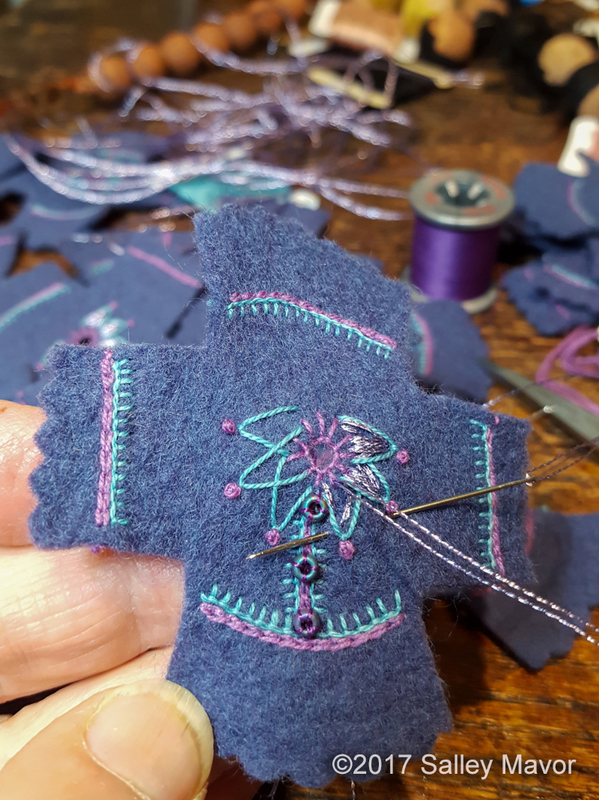 This arrangement allows me to have a stitching “fix” while away from my studio and there is no pressure to complete the set of dolls by a certain time. 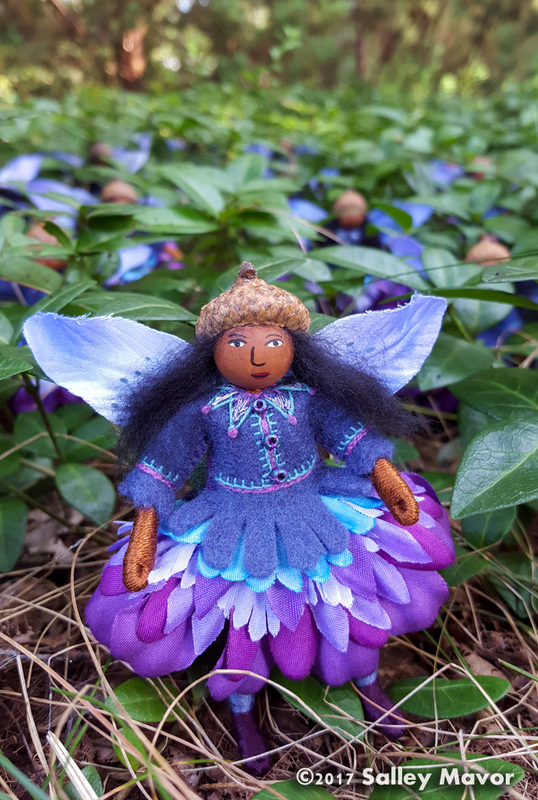 For those of you who are new to my work, these fairies are the same designs found in my 2003 how-to book, Felt Wee Folk: Enchanting Projects. The long awaited follow-up, Felt Wee Folk: New Adventures will be published in March, 2015. Well, the dolls are finally ready to show themselves and have been added to my Etsy Shop! Two editions of 25, Lily of the Valley and Holly & Birch have been created in transit around the world, across oceans and continents, including America, South America, Antarctica and Europe. 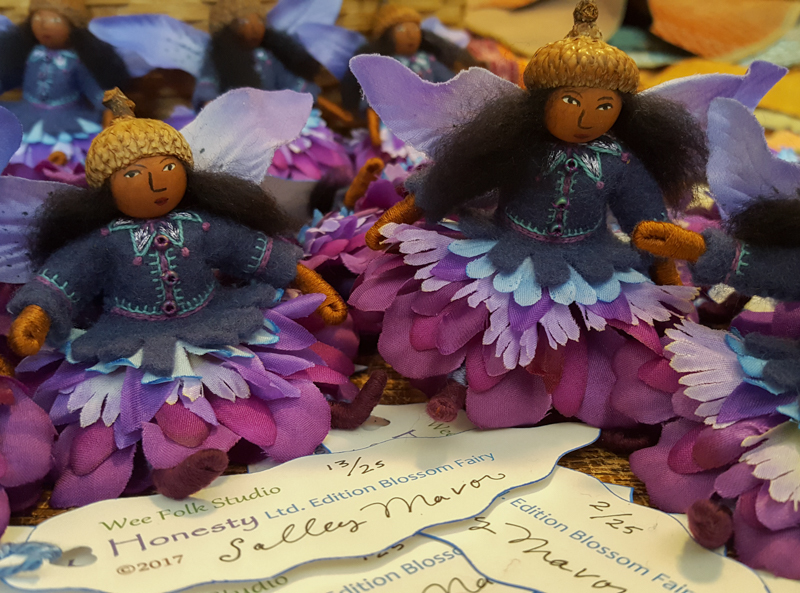 The dolls will only be sold through Etsy with a credit card or Paypal, on a first come, first served basis. What happens when these sell out? Will there more in the future? Possibly, but realistically, it would be a few more years before they make an appearance. It all depends on how much idle travel time there is! 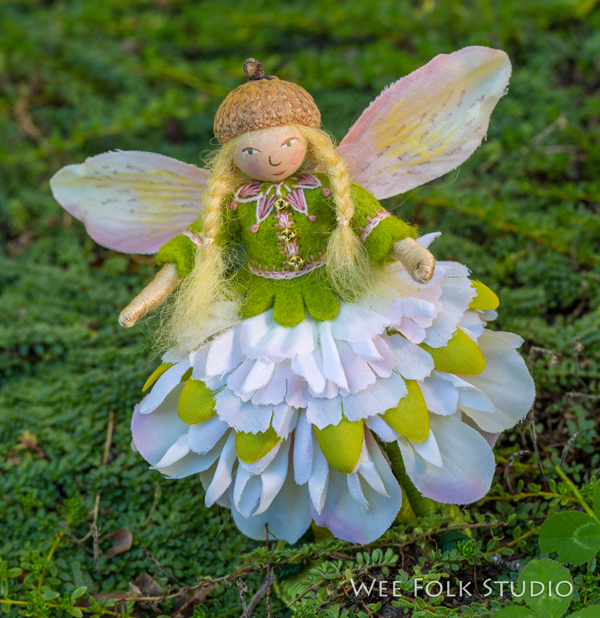 Lily of the Valley has blonde braids, a green wool felt tunic and a white flounced petal skirt. 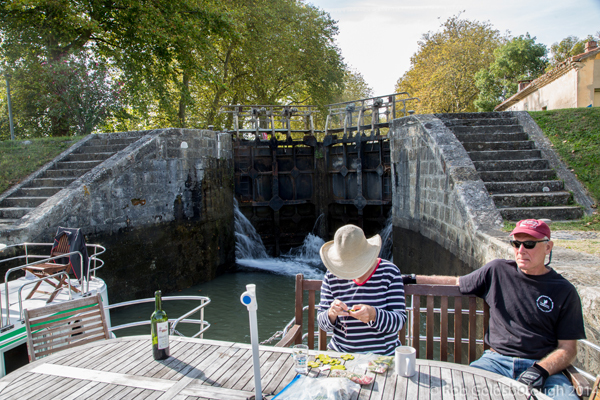 During our barge trip in France, Rob took this photo of me engrossed in stitching felt fairy tunics, while waiting for a lock to fill along the Canal du Midi. 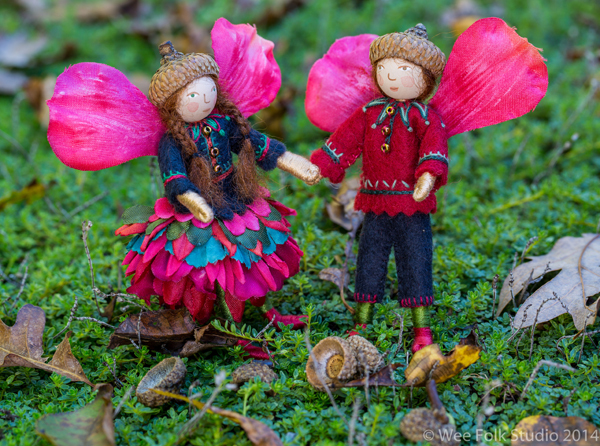 Holly & Birch are a girl and boy pair with dark brown hair and black and red wool felt outfits.